We are currently seeking sponsors for the John Petropoulos Leadership Award. The award – a collaboration between the John Petropoulos Memorial Fund (JPMF) and the Calgary Police Service (CPS) – is given on an annual basis to a member from District 6, where Const. John Petropoulos worked as a police officer, as well as an officer from District 1. Join us for a casual evening as we raise funds for the John Petropoulos Memorial Fund (JPMF), a charity committed to creating a safer world for first responders. The fundraiser coincides with the anniversary of the line-of-duty death of Calgary Police Service Const. John Petropoulos, who passed away on Sept. 29, 2000. John died after falling through a false ceiling at an unsafe workplace during a break-and-enter call. A safety railing – one that was required by law to be in place – would have saved his life. Following his death, the JPMF was created with the purpose of raising awareness about workplace safety issues affecting first responders, including police, firefighters, EMS personnel and tow truck operators. WHAT: Silent auction and fundraiser. 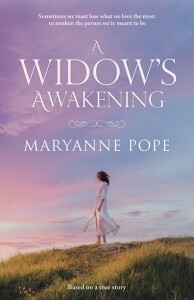 Signed copies of the novel A Widow’s Awakening by Maryanne Pope will also be available for purchase. After his death, several of John’s recruit classmates set up the John Petropoulos Memorial Fund (JPMF) and raised monies through the sale of memorial pins to fellow officers. Subsequent pin sales, grants, fundraisers and ongoing donations continue to sustain the Fund. Our safety initiatives offer people tangible tips they can implement in their workplaces and on the roads to help ensure emergency responders make it home safely to their families after every shift. The JPMF was incorporated as a non-profit society in Calgary, Alberta, Canada on Dec. 29, 2005. It was officially registered as a charitable organization with the Canada Revenue Agency as of March 14, 2011. With a new look and a few editorial revisions, the book A Widow’s Awakening is being released as a novel by BHC Press on Thursday, Sept 13. All proceeds from sales of the first 1,000 copies sold will go to the John Petropoulos Memorial Fund (JPMF), the Calgary charity that was started after the on-duty death of the author’s husband, Const. John Petropoulos of the Calgary Police Service. The book provides a gripping account of a young woman’s struggle to find peace with one of the most difficult losses imaginable. It is based on author Maryanne Pope’s story of coming to terms with John’s death. In Sept 2000, John died of brain injuries sustained after falling through an unmarked false ceiling while investigating a break-and-enter complaint. The story is a candid exploration of the immense difficulty of learning how to accept the unacceptable, while transforming loss into positive change. “A Widow’s Awakening is a powerful testament to why workplace safety matters,” said Pope, who is also chair of the JPMF, an organization dedicated to keeping first responders safe on the job. The book was originally self-published in 2008 and sold 2,000 copies. In 2017, A Widow’s Awakening was picked up for publication by BHC Press, an award‐winning independent publisher. The book can be ordered through BHC Press, as well as the JPMF website. 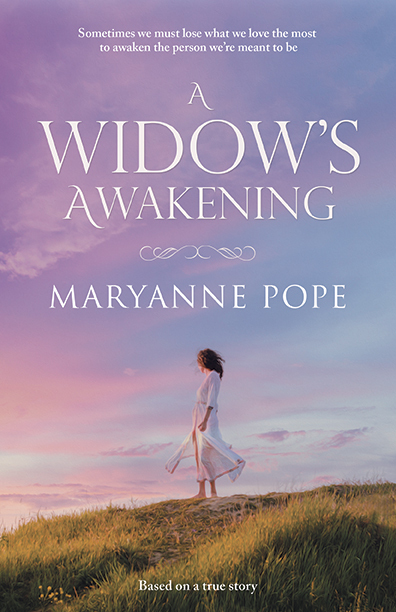 Engaging, heart-wrenching, and at times humorous, Maryanne Pope’s powerful debut novel – A Widow’s Awakening – centres on a fierce young woman’s struggle to find peace with one of the most difficult losses imaginable. The novel is a fictional account, based on the author’s own personal story of how she came to terms with the death of her police officer husband, who died while investigating a break-and-enter complaint. This honest look at the first year of a widow’s grief captures the immense difficulty of learning how to accept the unacceptable, while transforming loss into positive change. “It is an imperative read for all police officers and other emergency responders, as it speaks to the important work police officers do and the far-reaching impacts the ultimate sacrifice has,” said Maryanne Pope, who chairs the John Petropoulos Memorial Fund (JPMF), a charity named for her husband that is dedicated to keeping first responders safe on the job. BHC Press, an award-winning independent publisher, will release the novel (which was previously self-published) on September 13, 2018. Advance review copies are available upon request. Proceeds from book sales will support the John Petropoulos Memorial Fund. We are currently seeking volunteers for a charity golf tournament, taking place on Thursday, Aug. 16th in Calgary. Help is needed to sell raffle & 50/50 tickets, and keep an eye out for hole-in-one winning shots. There are morning and afternoon shifts for this event and volunteers should be prepared for any kind of weather. No experience is necessary, as training will take place on site. Volunteers will also receive complimentary snacks, meals and beverages. Meanwhile, we are also on the look out for silent auction prizes. We are planning a fundraiser for September (we’ll announce more details soon!) and the event will include a silent auction. If you think you can help out, please let us know! Proceeds from both the golf tournament and the fundraiser will go directly to the John Petropoulos Memorial Fund, a charity dedicated to creating a safer world for first responders. For more information on both events, please contact our Volunteer & Events Coordinator Harleigh Atkinson at harleighatkinson@gmail.com.